August in Sardinia – While this year’s Time In Jazz is over, there’s still a lot you can see and do in our beautiful island before August ends. Here’s an account of a memorable 5-day road trip around the regions of Marmilla, Barigadu, Barbagia, Baronia, Logudoro and Gallura. Day 1: Our journey started in Mogoro, Marmilla, where we visited the yearly Exhibition of Sardinian Traditional Arts & Crafts. Here until the 3rd of September you too can have the opportunity to admire tapestries, ceramics, jewellery, wooden artifacts and more. Highly recommended! 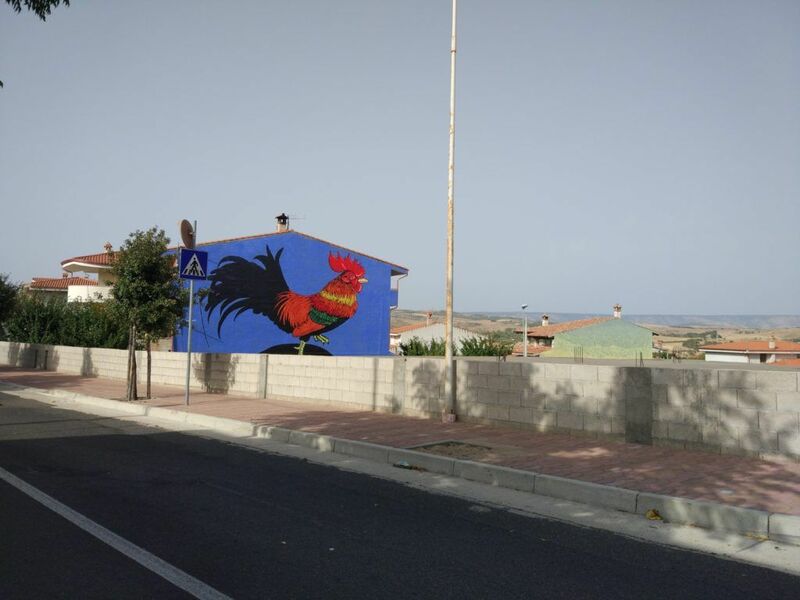 A recent urban redevelopment project turned the near-by town of Masullas into an impressive showcase of murals by renowned street artists. My main goal for the day was attending a Social Eating event at Nughedu Santa Vittoria, a town of 400 souls by Lake Omodeo. 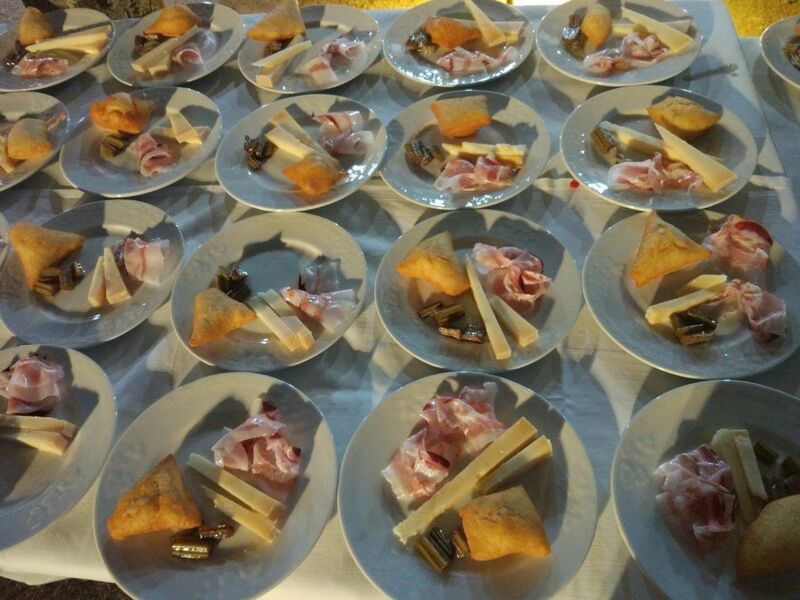 The organizer Nughedu Welcome had entrusted award-winning chef Roberta Petza with the task to find new innovative ways to prepare mutton (which is commonly used in traditional Sardinian cuisine). I was one of the lucky 160 guests who had the opportunity to taste Petza’s creations at Novenario San Basilio, a pretty country church surrounded by a beautiful landscape. The unique experience was crowned by an overnight stay in a former monastery in the old town. Day 2: Once we left Nughedu Santa Vittoria, we drove less than an hour to the Nivola Museum. I go there every time there’s a new temporary exhibition. 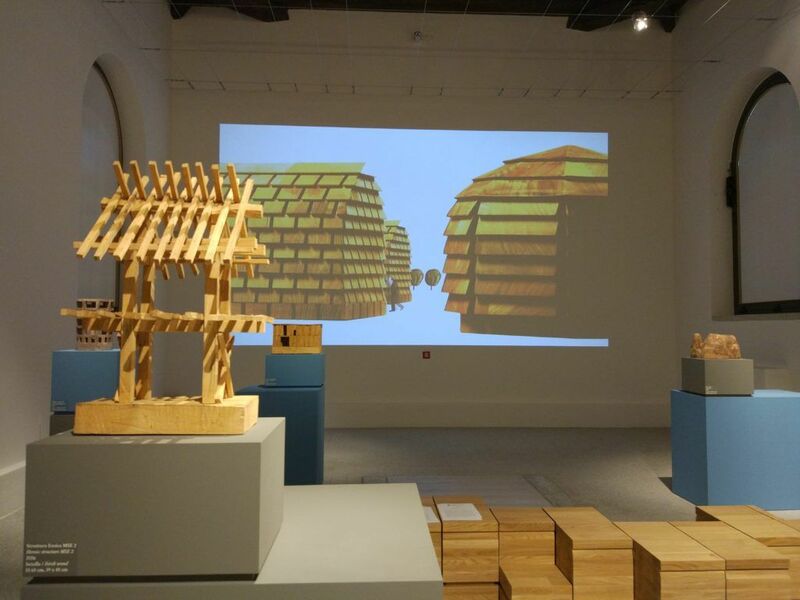 After reviewing the familiar works by the great Costantino Nivola, we admired the inspiring Haystacks by Michele De Lucchi. The special exhibition will run until the 15th of September. Our next stop was Nuoro, capital city of the Barbagia region. We had the pleasure to see artworks of great value at the MAN Museum, and learn about Sardinian culture and society in the past century at the Ciusa Museum. 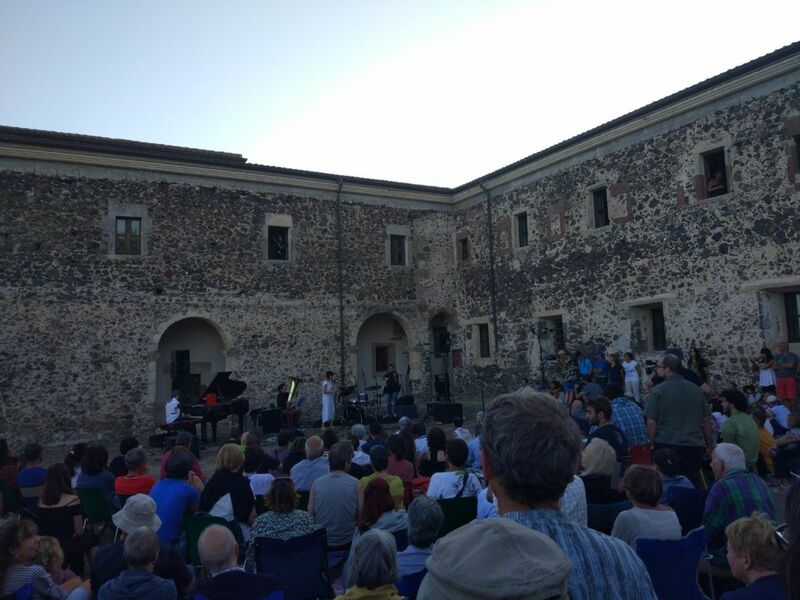 The cherry on top of the cake was a performance by Uri Caine and Paolo Fresu at the San Giovanni tower in Posada, Baronia. The concert was part of the world-famous Time in Jazz festival that takes place every August in Sardinia. We finally headed back to Ozieri for the night. The town at the heart of Logudoro served as the base for more adventures around my beautiful island. Day 3: After a morning stroll around Ozieri, we drove to Ardara, a small town on the way to Sassari. 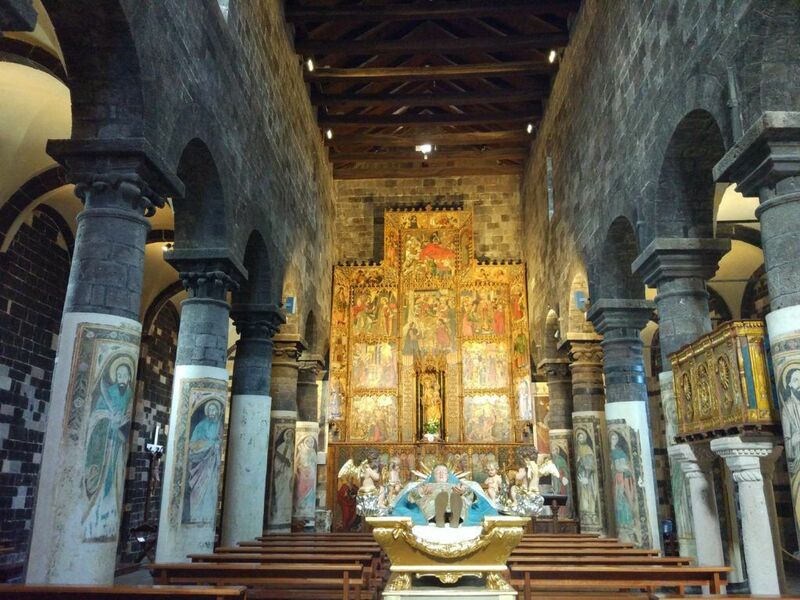 Its Basilica di Nostra Signora del Regno contains the largest painted retable in Europe, in my view the most beautiful one in Sardinia. In the afternoon we explored the evocative basilica at Sant’Antioco di Bisarcio, and enjoyed its views over the golden Logudoro landscape. Day 4: Despite a slow start in the morning, we were ready to go wherever Time in Jazz would take us! We first headed to St John’s Church in Mores and attended a beautiful performance by pianist Dino Rubino. 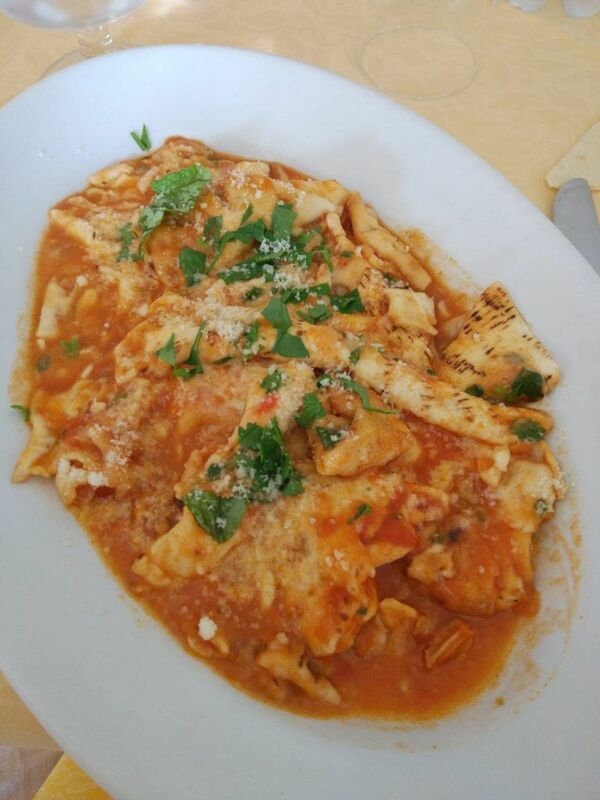 Later, we enjoyed a traditional lunch organized by locals to fund the event: delicious gnocchetti with tomato sauce and boiled mutton with potatoes and onions. We were a bit behind schedule when we reached Bortigiadas in the afternoon. Even so, we were able to enjoy Francesco Bearzatti‘s music, right in front of St Nicholas Church. 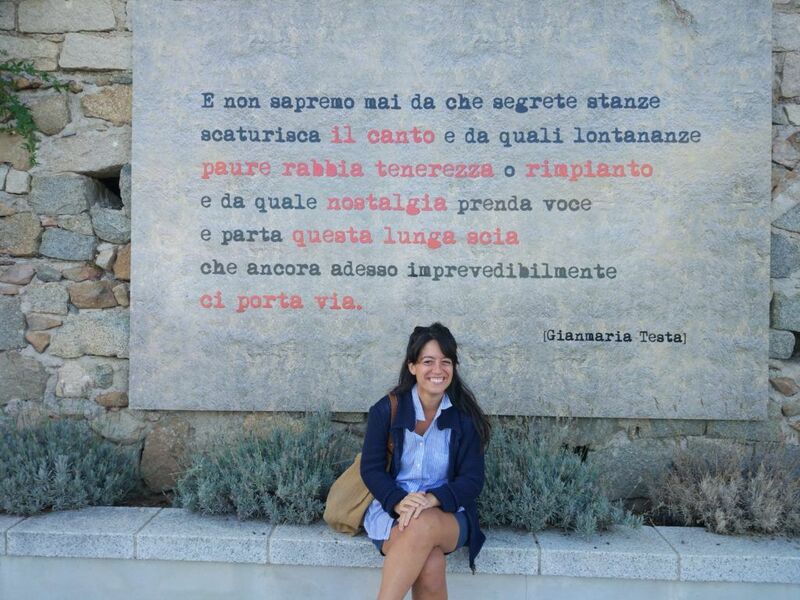 The location was also perfect for us to see the installations and poems that decorate the urban landscape of this pretty town in Gallura. Day 5: Another whole day dedicated to jazz! Our destination this time was Telti in inland Gallura, where we savoured a piano performance by Dino Rubino and Enrico Zanisi, right next to St Victoria Church in the old town. We stopped in Berchidda for lunch and took the opportunity to taste its renowned zuppa berchiddese, made from the humble but delicious ingredients of the traditional cuisine. The day was crowned by a last Time in Jazz event in Ploaghe, Logudoro. 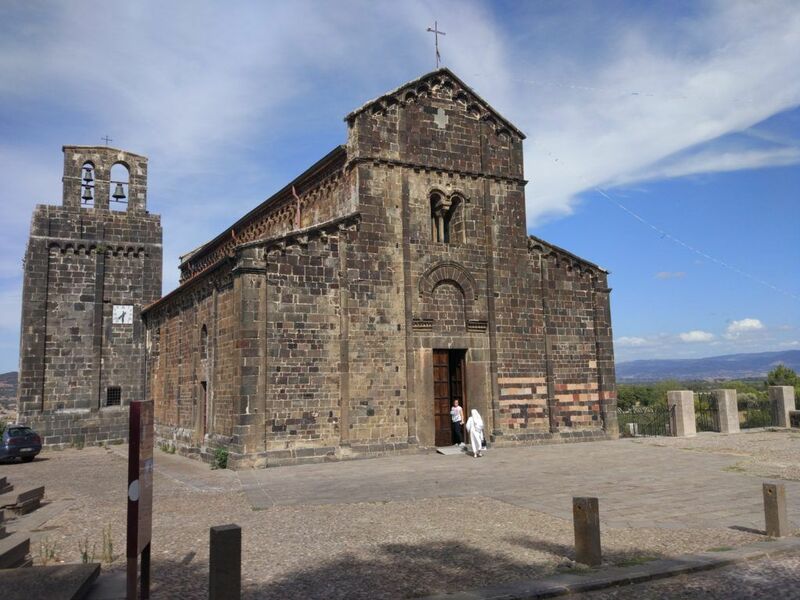 Clarinetist Zoe Pia performed at the former Convent of the Capuchin Friars, presenting an experimental mix of traditional Sardinian music with different styles and genres. Previous Article S’Essida de sos Candhaleris in Nulvi. A centuries-old story of faith.